When the arcade closes, a secret world comes to life. Ralph is the menace of the classic arcade game ‘Fix it Felix Jr.,’ always causing havoc in a game he has no control over but after doing it all his life he is in need of something else. He wants to be the hero for once. Against all odds and his friends' wishes, Ralph sets on a journey to prove to himself and everyone else that he can be a hero. Wreck-It Ralph is the perfect holiday movie. It’s witty, action packed and full of stuff for the kids, but it also has that great helping humour that kids of all ages will love. Ralph (John C. Reilly) the lead in the animated adventure is someone most people will connect with: a guy that is sick of the daily grind, doing the same old stuff, day in and day out. Like most of us, he just wants to break free. Reilly fits the role perfectly. His grunt of a voice and raw humour suits the character down to a tee. Sarah Silverman as Vanellope the Glitch Racer of Sugar Rush however good, just seems out of place playing such a young kid. I wonder why they didn’t cast a younger comedian. 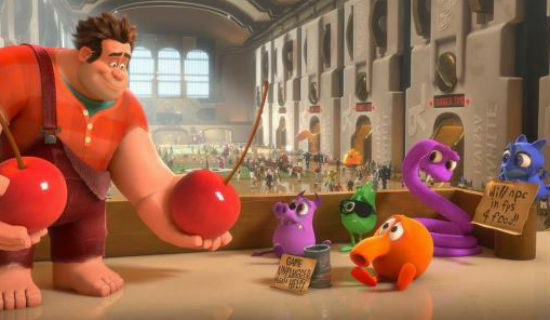 The world created in Wreck-It Ralph is something short of genius. I would have never imagined an arcade coming to life while no ‘Humans’ where around but instantly I found myself picking my jaw up from the ground, in awe of the ideas Disney has created to make the world work. Power cords as rail lines, power boards as cities, characters inside the arcade games consider the game as their jobs. 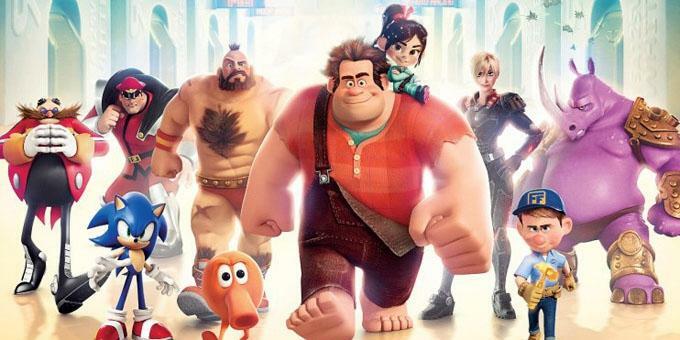 Wreck-It Ralph is like Toy Story for a new generation, the gaming generation. Gamers will get a kick out of all the hidden and not so hidden Easter Eggs that are splashed all over the movie. From classic 80’s game references, to characters from Street Fighter, even little gems from newer games. I can guarantee that you can’t spot them all in just one viewing. It’s a shame Disney has decided to release the movie almost two months after its American release, this just gives more people the opportunity to illegally download it. I can understand the marketing /profit value of waiting for the Boxing Day release, but I’m sure you would lose a fair chunk of that profit in lost sales due to piracy. I’m not condoning it, I’m just venting. Match the rest of the world with an earlier release. My other fear is that non-gamers will turn away from the movie and think it’s not for them. All I have to say to that is: don’t be silly. While there are references to video games in the movie, you don’t need to like video games to get the movie. I didn’t see Bambi to get tips on how to be a deer, or see X-Men to get help with my mutant problems. Get my drift? 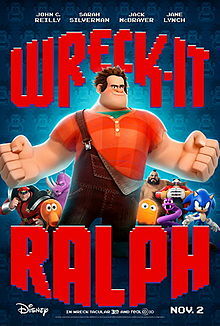 Wreck-It Ralph is a must see, even if you don’t see it in 3D or wait for cheap arse Tuesday, I can promise you, you won’t be disappointed. Disney has always set the bar high for other studios, but in reality Disney hasn’t released a great movie single handily since the 90’s. Wreck-It Ralph has broken that streak. And gets me super excited to where they are going to take the Star Wars franchise. 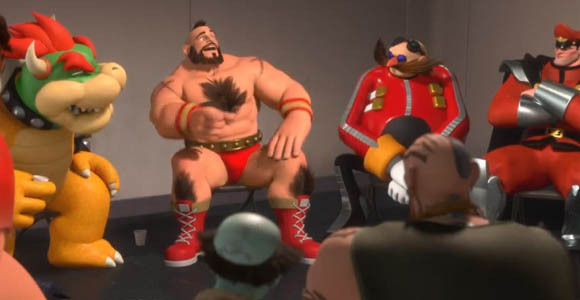 It rarely happens, but if there is one movie that you’re going to see this summer, or winter depending where you are in world, make sure you see Wreck-It Ralph .